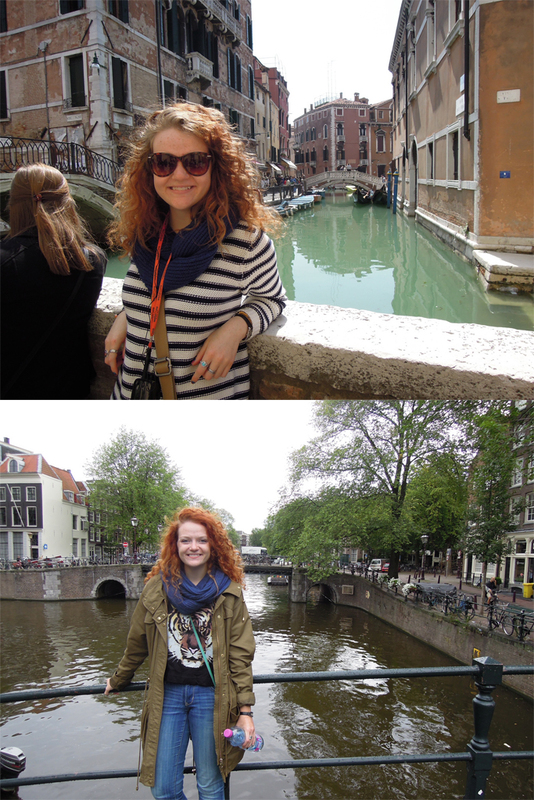 In Venice in 2012 and Amsterdam in 2015. Amsterdam is often called “The Venice of the North,” but I found the epithet completely misleading. Venice’s canals are the bustling thoroughfares; Amsterdam boasts wide paved streets criss-crossing the watery depths below. Where Venice feels small and inclusive, Amsterdam’s neighborhoods ramble for miles. In Venice, a traveler is more likely to get lost in a labyrinth of tiny alleyways than wind up wandering in an unmarked park. In Venice, the water laps at toes and floods church floors; Amsterdam keeps the water at bay. Working above the water, the Dutch relationship with the sea seems more symbiotic than the Venetian fight against rising waters. Venice is a cacophony, but intimate. Amsterdam is organized, but surprising. 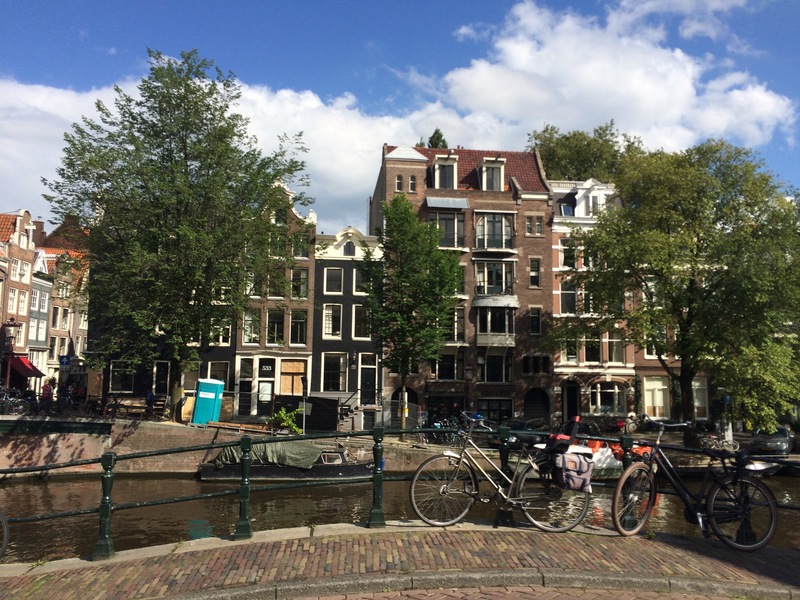 My first trip to Amsterdam was in September, and of the three European cities I was visiting, I was probably most excited for the Dutch capital. I was surprised, however, that I didn’t make an instant connection with the Amsterdam. 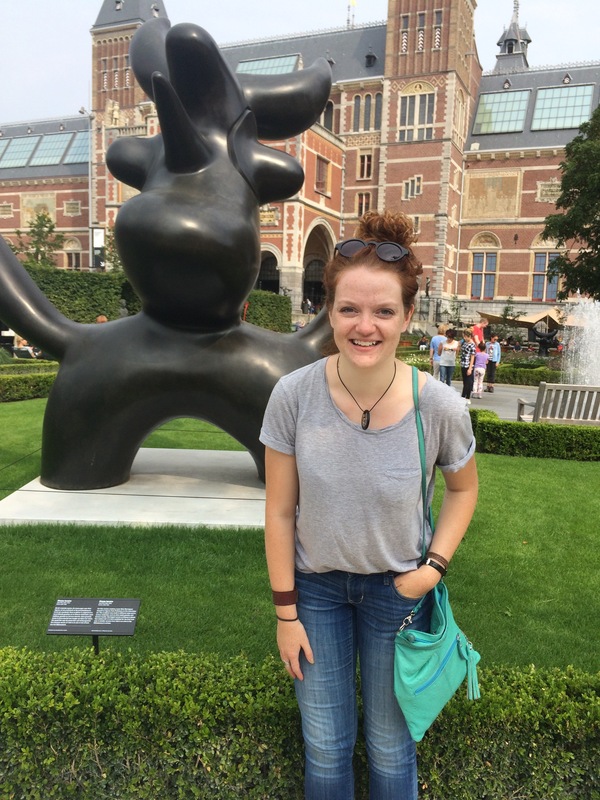 In the middle of my trip, it’s possible traveler’s fatigue, a personal emotional rollercoaster, and lack of a good map, contributed to my stress, but Amsterdam was intimidating. She sprawls in a typical European non-grid, making it easy to get lost. In a city full of some of the most polite and accommodating (read: everyone speaks English) people in Europe, I felt extremely overwhelmed. I expected Amsterdam to be quaint and familiar. From the pictures, it looks far from metropolitan. The reality of the speeding bikes, motorcycles (IN BIKE LANES), and masses of pedestrians, however, is much closer to a teaming city-center than a quiet Dutch landscape. It was clear: I had underestimated Amsterdam. To say I underestimated her, however, is not to say she disappointed. Indeed, Amsterdam challenged and excited, she frustrated and she delighted. Amsterdam is polite: while on my tourist bike I broke more traffic laws than a cabbie in New York and the worst I got from the locals was some Dutch side-eye. Amsterdam is historic: from a 16th century republic steeped in religious and political turmoil, to the last place Anne Frank called home, Amsterdam is now a modern center of the avant-garde in art and design. Amsterdam is diverse: once the proud conqueror of both the East and West Indies, she is a surprising cultural crossroads. Amsterdam is confusing: she doesn’t boast an obvious central square or towering dome for easy orientation. Amsterdam is seedy: the Red Light district at night, without a large group of friends, is akin to walking through a carnival funhouse. Amsterdam is enigmatic, not to be contained or described. She isn’t understood in a day; she’s meant to be explored and pulled apart. From her windy, cattle-filled, suburbs to her hip, bustling, interior, Amsterdam is calling me back.